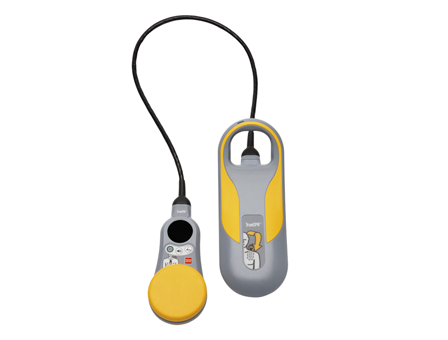 The TrueCPR™ Coaching Device is designed to optimize the quality and performance of manual CPR by providing feedback to rescuers in both real time and after the event. 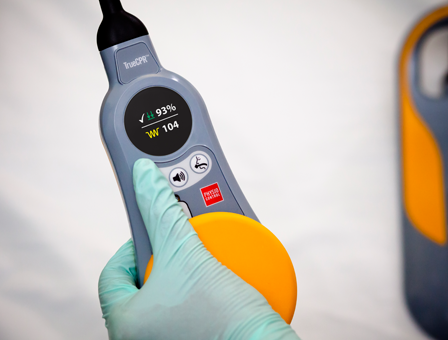 The TrueCPR device measures compression depth on compliant surfaces and in moving vehicles using a unique technology called Triaxial Field Induction. Triaxial Field Induction. Triaxial Field Induction (TFI) is a unique technology that allows the TrueCPR Coaching Device to accurately measure compression depth on compliant surfaces or in moving vehicles. Magnetic fields emit from the backplate in three directions. 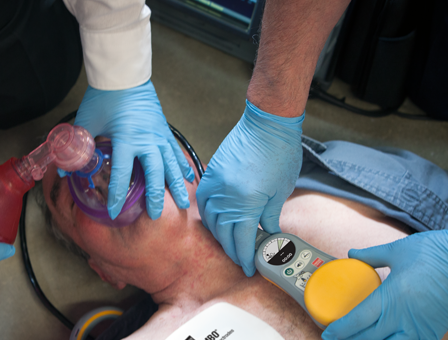 As the chest pad moves through the field, it is able to calculate its distance from the backplate at any point in time, giving rescuers a true anterior/posterior chest compression depth measurement. TrueCPR Report Generator is available free of charge through our download center. During the download process, you will be given a serial number and feature key. Please be sure to save this information as it will be needed for installation of the program. Instructions for downloading data from a TrueCPR Coaching Device to the TrueCPR Report Generator are located in the TrueCPR Coaching Device Operating Instructions.